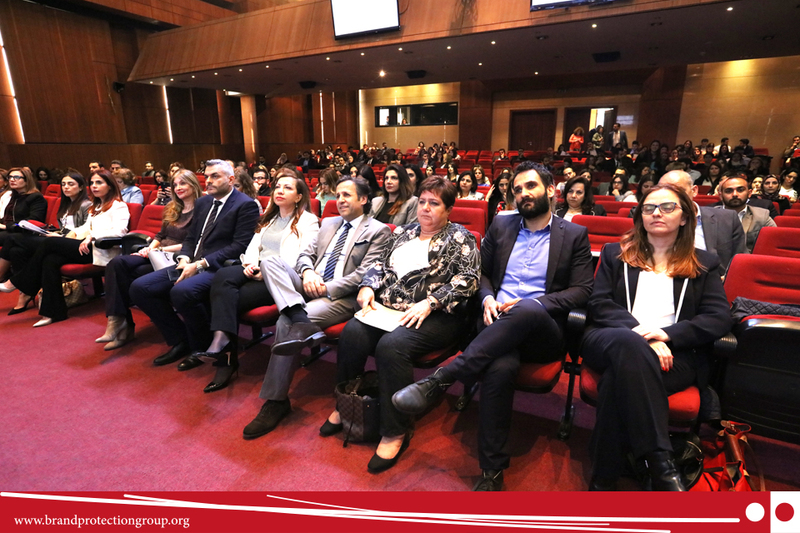 In the occasion of the World Intellectual Property Day 2018, the Brand Protection Group, in collaboration with Beirut Bar Association, Ministry of Economy and Trade and Ministry of Justice held its second IP Forum under the theme “Powering Change: Women in Innovation and Change” on the 26th of April 2018 at Maison de l’Avocat. 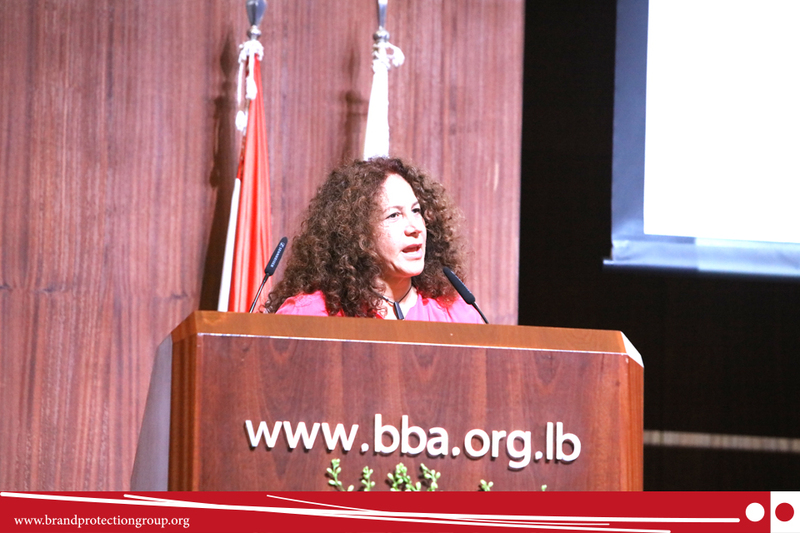 The conference was moderated by Attorney Joelle Bou Abboud (BPG Vice President, General Counsel at HOLDAL Group) who introduced BPG as an association of leading local, regional and international manufacturers and distributors working together to fight counterfeit products in Lebanon, established in 2003. 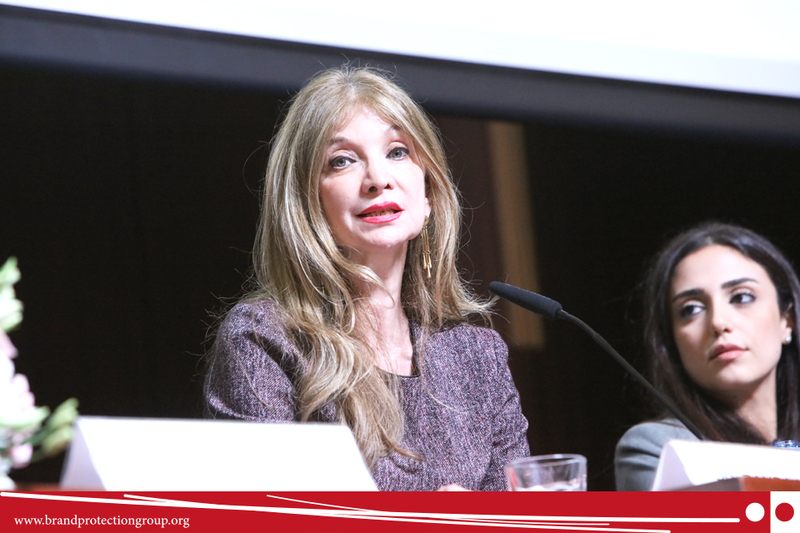 She also emphasized during her opening speech about the importance Women are playing nowadays in the IP sector at all levels. 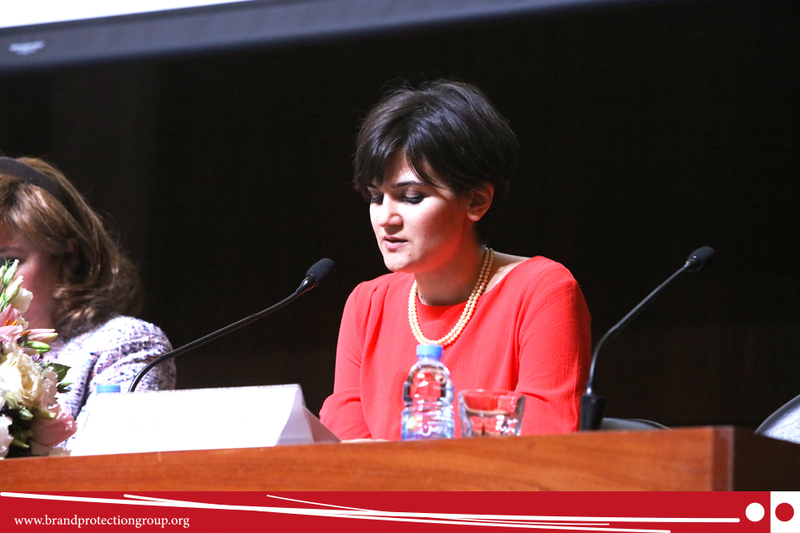 The opening session was handled by President Maysam Noueiri (General Director, Ministry of Justice), Mrs. Alia Abbas (General Director, Ministry of Economy and Trade) and Attorney Nada Talhouk (Board Member, Beirut Bar Association). President Noueiri mentioned that the Ministry of Justice offers its full support to all activities related to Intellectual Property and has appointed a committee for the purpose of reporting various international conventions and treaties on Intellectual Property. 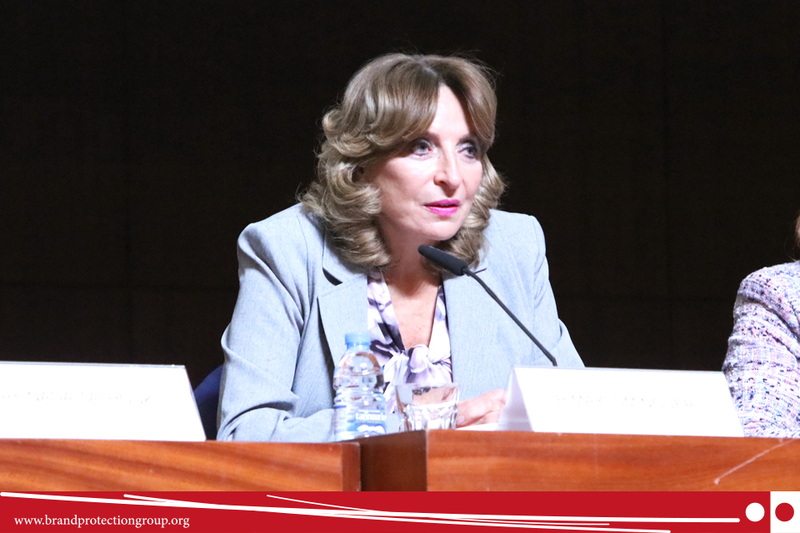 She also revealed that the Ministry is witnessing a real evolution in the Court Decisions related to IP, not to mention that many Courts in Lebanon are strictly composed by Women. Mrs. Abbas discussed the matter that each and every day Women come up with an invention, they change the rule of the game, facilitate the daily life and increase the understanding of various sciences from space physics to artificial intelligence and robotics. Statistics in Lebanon indicates that the rate of registration of different Intellectual Property rights in Lebanon for Women is increasing; they are registering industrial designs (fashion, jewelry designs, etc.) as well as their ownership of books, scripts and scenarios prepared for movies. 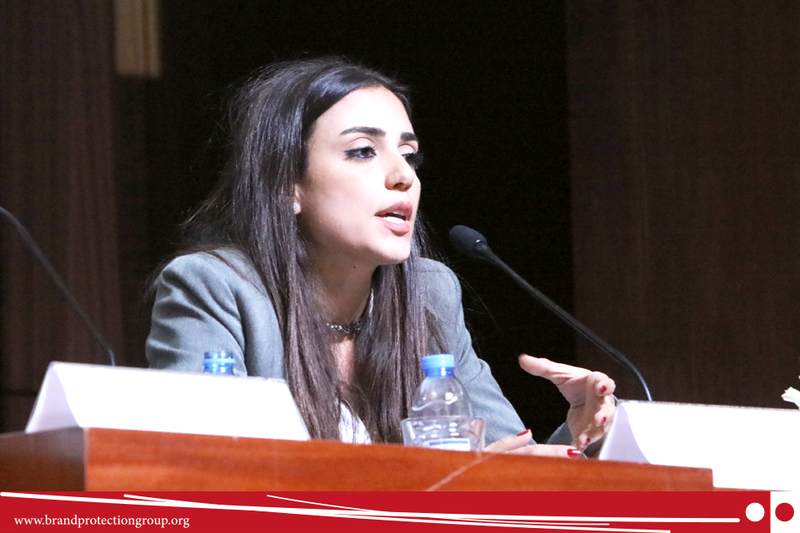 She added that the Ministry of Economy and Trade cooperates with non-governmental organizations that assist Women in Lebanon and help them register their rights. Attorney Talhouk clarified that Human thoughts, such as industrial inventions, models, trademarks, songs, books, symbols and names are considered as Intellectual Property rights, and their rights do not differ from any other property rights. She took the chance to highlight the role of Women who change the game in the world now. 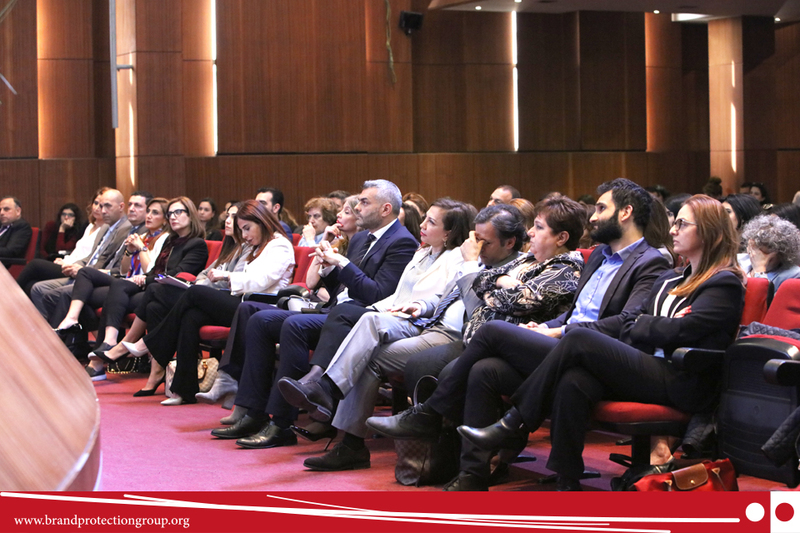 Based on this fact, the Beirut Bar Association has signed a Memorandum of Understanding with the Brand Protection Group-Lebanon on the 26th of June 2016 to raise awareness and disseminate legal culture on Intellectual Property and Consumers’ rights. The Guest Speaker of this event was Attorney Aysu Dogan (Diageo) who emphasized on the fact that Women have to face serious barriers among them the persistence of gender stereotypes and implicit gender bias, difficulties in reconciling family and professional life, lack of mentoring especially by Women mentors and a lack of transparency in appointment and promotion processes. She added that many important steps have been taken to achieve gender equality in the judiciary and IP world, however a huge amount of progress still needs to be done. 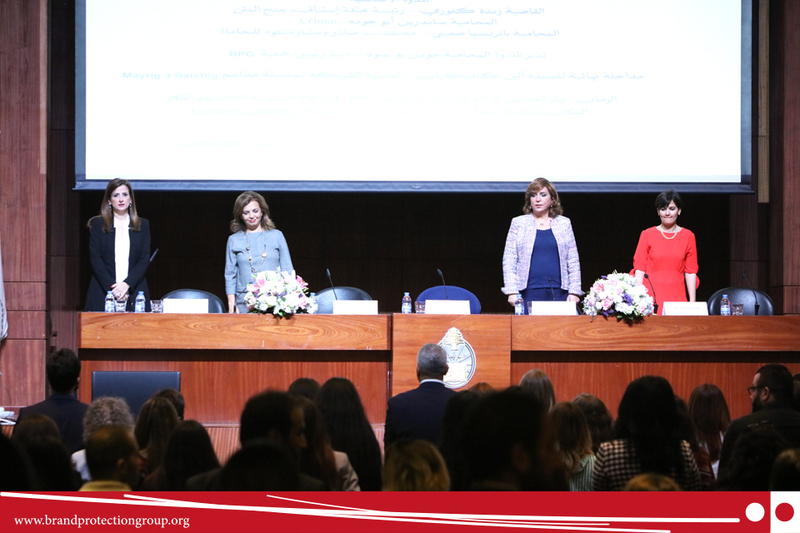 Key note speakers were Judge Randa Kfoury, Attorney Sandrine Abou Jaoudé (L’Oréal) and Attorney Patricia Seaiby (SADER). 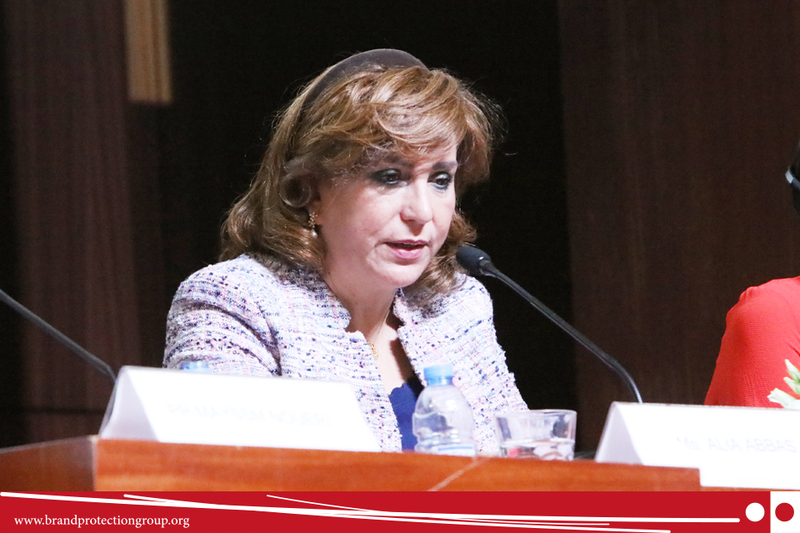 Judge Kfoury mentioned that the “female invasion” of the Lebanese judicial profession has manifested in the steady increase of the number of female judges. Since the first women entered the Lebanese judiciary in 1960s, the number of female judges has now reached almost half the total number of judges. She considered that the main role of the judiciary in the protection of Intellectual Property Rights is the guarantee the existence and the scope of the rights in the protected subject matter and to ensure that the rights can be properly enforced, and infringements punished. Meanwhile, Judges intervene in order to establish norms. Attorney Abou Jaoudé discussed the different categories of IP rights: trademarks (trading names and logos), design rights (the aesthetic appearance of products), patents (inventions) and copyrights (artistic and literary works). She considered that the protection of any brand is accordingly related to the protection of all IP rights. She also revealed that L’Oréal is now facing an increasing volume of illicit trades and fake cosmetics products and is trying hard to battle counterfeit in different countries. Attorney Seaiby clarified that a full strategy should be adopted in fighting counterfeit which is considered an Economic Cancer. SADER & Associates, as leading IP Law firm usually avoid a cat-mouse strategy and believe in a real Public-Private Partnership. 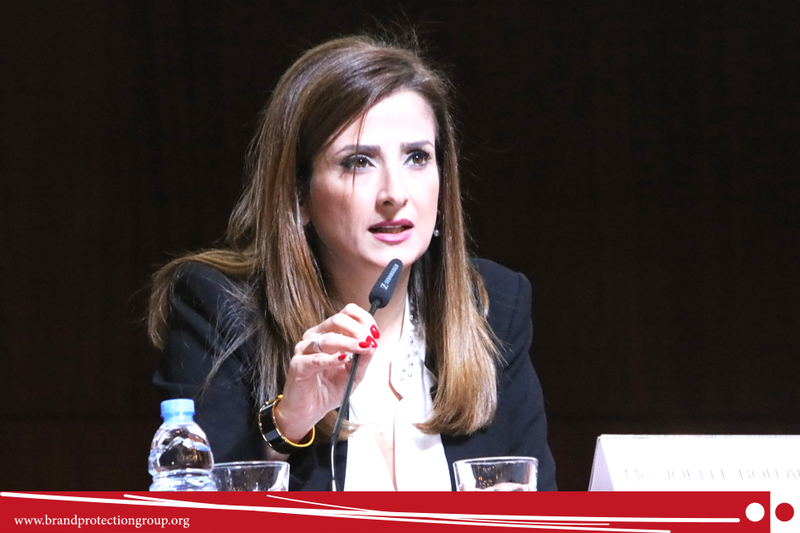 She also emphasized during her speech about ways to counter counterfeit and protect IP in Lebanon among which submitting a complaint to the Public Prosecution. 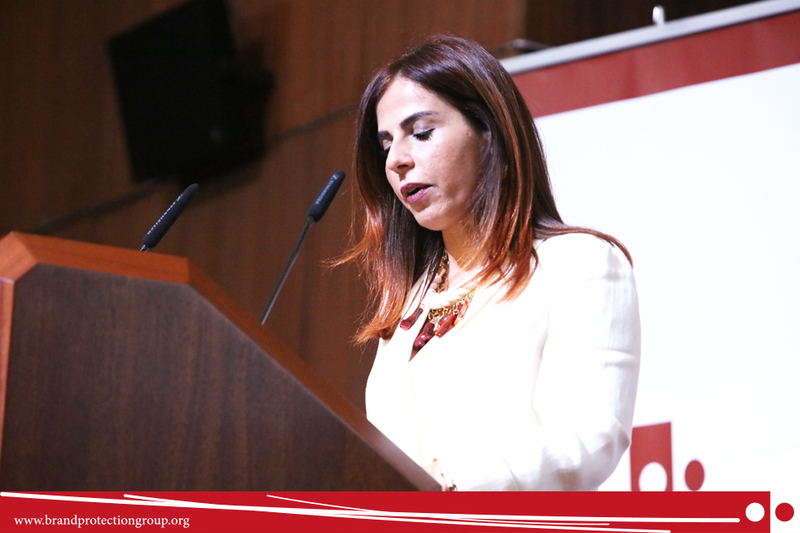 The closing speech entitled “IP & Entrepreneurship: A Lebanese Success Story” was handled by Ms. Aline Kamikian, owner of “Mayrig” the first Armenian restaurant in the world, who talked about her personal experience in barrier facing while opening her first restaurant. She admitted that being a Women entrepreneur is not a piece of cake, there is always room to succeed whatever gender you are as long as you have the will. She revealed that they have three IP infringements to defend the trademark till now. 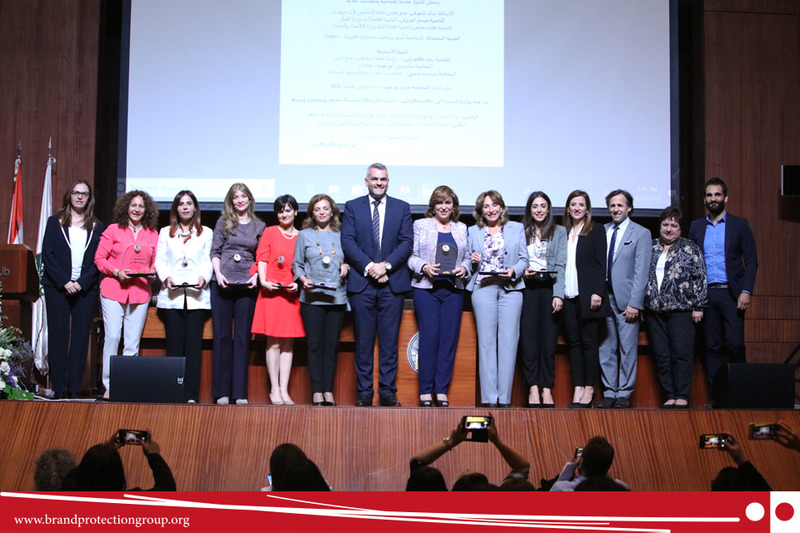 Brand Protection Group – Lebanon presented at the end of the conference an appreciation award to all speakers who participated in this Forum to thank them for sharing their knowledge and experience. The important and inspiring contributions of countless women across the world are those who feed change in or world. Their “can do” attitude is an inspiration to all of us. Their remarkable achievements constitute an invaluable heritage for today’s girls with ambition to become the inventors and creators of tomorrow.